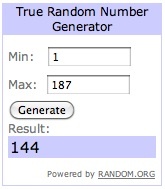 My Messy Manger: Old New Again Giveaway Winner #2! Old New Again Giveaway Winner #2! What's not to love! Everything is so cute! Congrats Jennika! Contact me at mymessymanger@gmail.com to claim your prize! Again, you have one week to contact me or another winner will be chosen. Who was the original winner...b/c I have not been getting your blog updates so if it was me...I had no way of knowing. If it wasn't me...ignore.